The Vittore Branca International Center for the Study of Italian Culture is happy to announce residential programme starting from April 2019 – April 2020 to PhDs and post-doc students who must not be over 40 years old on March 10, 2019. The International Center for the Study of Italian Culture named after Vittore Branca – a world-renowned Italianist who was Secretary General of the Fondazione Giorgio Cini – is a residential resource for Humanities studies, open to research projects in the field of art history, history of Venice, literature, music, drama, early printed books, comparative civilisations and spritualities. Course Level: These are 3 months long residential scholarships. Study Subject: Candidates shall propose a research topic preferably focused on the archives and documents kept in the Fondazione Giorgio Cini, Venice. 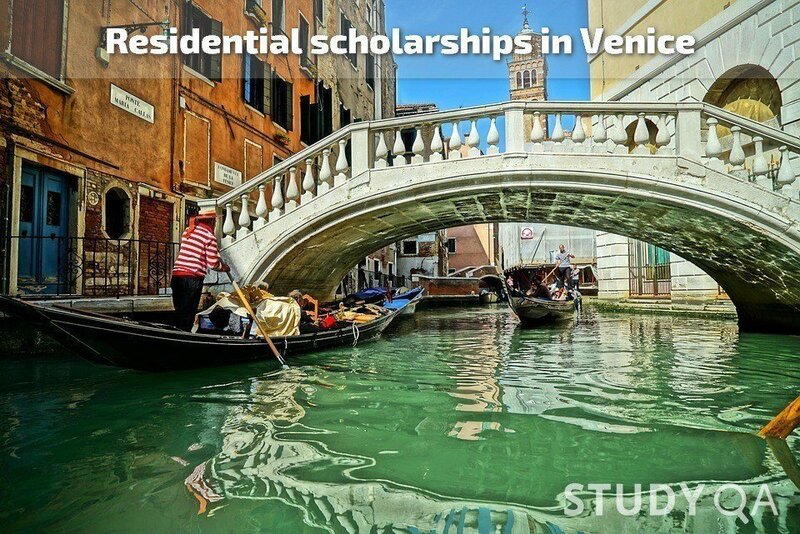 Scholarships are awarded in one of the following fields: art history, Venetian history, literature, music, drama, early printed books and comparative cultures and spiritualities. Scholarship Award: Each scholarship is worth 3,100 euros (gross sum) and accommodation free of charge for 3 months at the Vittore Branca Center Residence in the period between April 2019 and April 2020. Accommodation free of charge for three consecutive months at the Vittore Branca Center Residence on the Island of San Giorgio Maggiore, Venice and free use of the Vittore Branca Center facilities. Nationality: Scholarships are available for Italian and International scholars. Number of Scholarships: 8 residential scholarships are available. Eligible Countries: Scholarships are available for Italian and International scholars. The residential scholarships are offered, within the interdisciplinary context that characterizes the Island of San Giorgio Maggiore; to Italian and international scholars wishing to further their studies of Italian culture – especially that of the Veneto – in one of the following fields: art history, Venetian history, literature, music, drama, early printed books and comparative cultures and spiritualities. Candidates shall propose a research topic preferably focused on the archives and documents kept in the Fondazione Giorgio Cini, Venice. For a guide to research topics of particular interest to the Fondazione Institutes and Research Centers, please visit the “Centro Branca” section on the web page www.cini.it. It is possible to plan a preliminary visit to our libraries, in order to examine materials to elaborate a research project; for more information, please contact centrobranca-at-cini.it. – 2 reference letters from professors and scholars who supervise or have supervised the candidate (NB the letters shall be originals printed on headed notepaper of the relevant university or institution). In case of need, reference letters could also be shipped separately to the Vittore Branca Center Secretariat – please write the candidate’s name on the back of the envelope.